Enjoy this super simple and tasty solution for those “gotta have a good snack now!” moments. 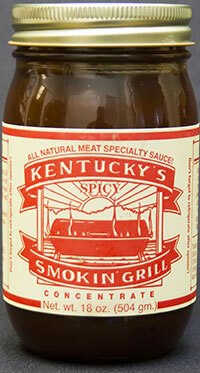 Select your favorite variety of Kentucky’s Smokin’ Grill Concentrate Sauce and dip your best chips in the straight stuff. Tasty! Mix diced tomatoes, green peppers and chopped onions with your favorite Kentucky’s Smokin’ Grill Concentrate Sauce and dip in tortilla or corn chips.